Canonical have created a lot of buzz with their crowd funding plan for their proposed Ubuntu Edge device, and have so far used one day price reductions in an attempt to keep donations/sales coming in and interest high. There is no denying however that the uptake rate has fallen dramatically since the start of last week and what the company does now could be crucial in achieving their goal, if it is even possible. Now there is talk that Ubuntu for Android may actually be released (probably just for the N4) in order to give Android users a glimpse of what the future could hold for them. In my eyes this would be a very clever and astute move if timed correctly, suddenly Canonical will have millions of ‘demo’ units in the wild and will once again have grabbed the headlines. There has been no mention of a release date other than it will be during this fund raising campaign. I must stress though that as of now this is just informed rumour and Canonical had made no official statement. Below are a series of video’s showing both Ubuntu for Android and Ubuntu Edge, the first of which is pretty old now and presented by our own James Bricknel when he was helping out at XDA TV. 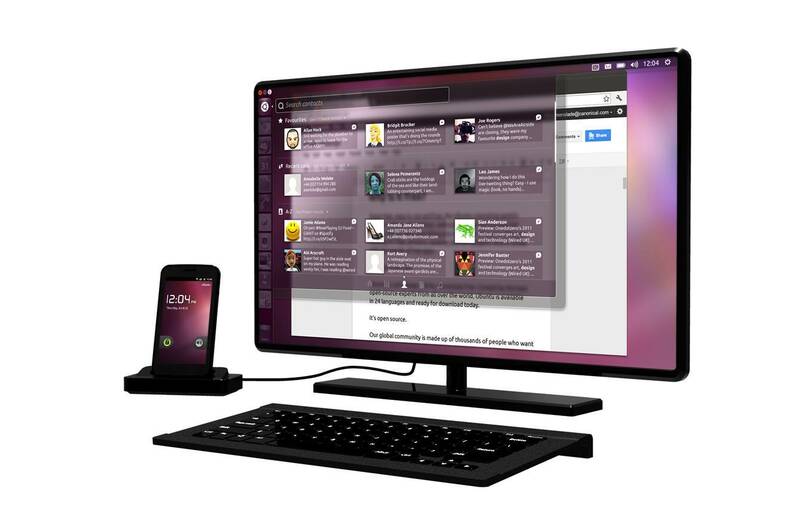 Finally there is a fully interactive 3D render of the Ubuntu Edge device for you to have a little look at. Although not officially announced or released we have managed to get our hands on the official images ahead of the Monday announcements. So what’s your thought’s? Any idea on what it is? Is it a Phablet or a Phone?